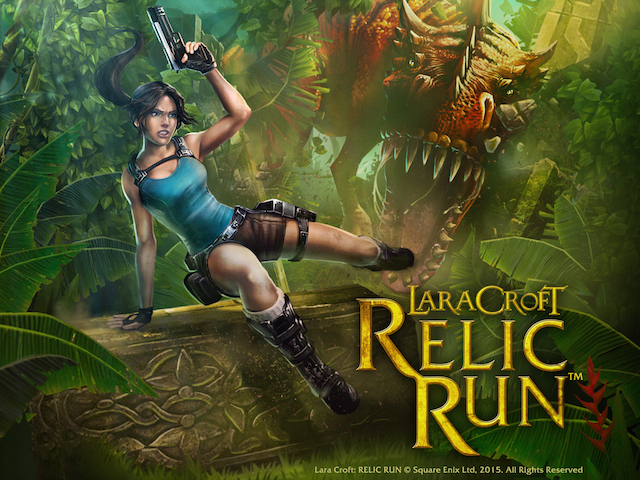 In Lara Croft Relic run, Lara goes on yet another adventure to save the world from an evil conspiracy. To solve this conspiracy she need to collect relics from some ancient temples and fight the evil. The game basically is an endless runner with great adventure added to it. 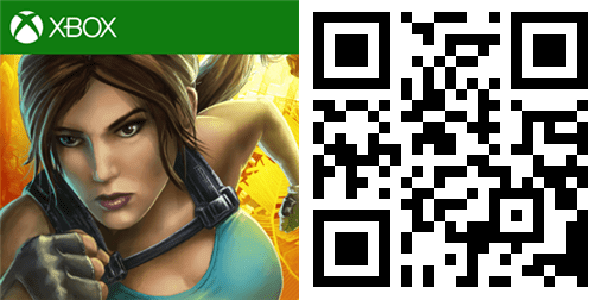 As you enter the game lara will start running automatically after the first tap on the screen. 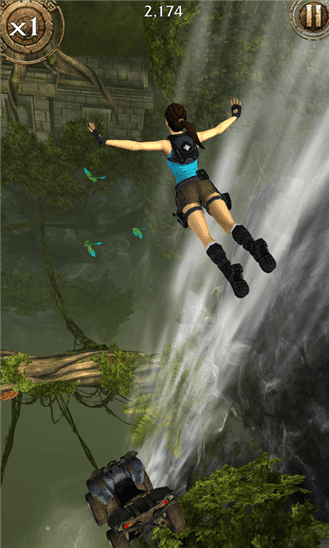 You have to swipe up, down, right left on the screen in order for lara to avoid the the incoming obstacles. As she advances in the game you need to collect coins, collect the relics found in the way. In some instances when Lara enters a temple enemies will start firing at her. Then you have to tap on them in order to shoot them. You will have a limited amount of ammo as you advance in the game enemies strength will increase so to defeat them you need to constantly keep upgrading your gear in between games. You can ride some pretty fast vehicles like RTV, motorcycles which you can find inside the game itself. There are some epic bosses in the game too. There are there worlds in which you can run namely Jungle temple, Desert temple, Mountain pass, each of the worlds are equipped with different kind of enemies and bosses. As you start playing for the first time you will start playing in the jungle temple. And by collecting relics you have to unlock other two worlds. The game also has achievements, on windows phone these achievements will add up directly to your Xbox gold, as this is an Xbox title. It also has a social leader board in which you can see all your friends scores. If you have a high enough score in the leader board you can curse your friends ruining their next relic run. What this basically does is. It will freeze your friend's screen for a second blinding him. If he/she were to survive gets rewarded and also gets a chance to curse you back. The game has a special shop inbuilt from which you can buy upgrades to your weapons. Buy new costumes or upgrade the current ones you keep up with the game. You can upgrade ammo and weapons. Buy special boosts that will let you boost your run. Even clues that help you find the relics. Each of these upgrades and boosts will have different effects on your gameplay. You can buy these upgrades using the inbuilt free currency and premium one. Namely the coins and diamonds. If you are wiling to you can also spend some actual money to buy these virtual currency too. Overall the game felt very challenging and adventurous. You have to be very attentive in your every move. The jumpings over obstacles, sliding under trees, pillars and riding vehicles all these experiences felt very unique to the game the enemy engagement and fight scenario's also felt awesome. Sometimes words cannot describe experiences. Although all the graphics and gameplay of the game is good, the sounds are a little annoying. I would give a 4 out of 5 for this game. The game is a free download from Store with a size of 67MB And requires 1GB RAM. 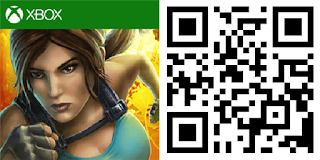 You can download Lara Croft: Relic Run from here or by scanning the QR-code below.